Lafayette 148 New York "Lyndon" blazer in punto milano knit. For in-store inquiries, use sku #2363962. 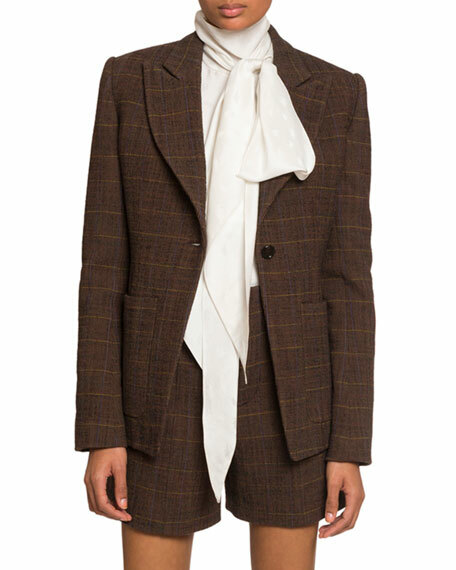 Chloe blazer in checked wool-blend twill. Peak lapel; one-button front. Long sleeves. Hip patch pockets. Oversized fit. Straight hem. Virgin wool/spandex/nylon. Viscose lining. Made in France. 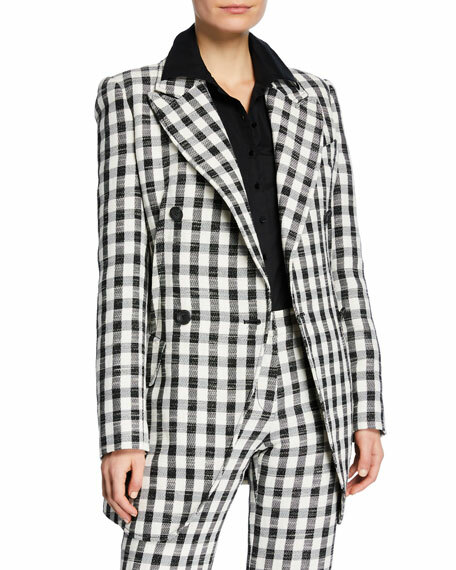 Derek Lam boyfriend-stye blazer in gingham twill. Notched lapel; double-breasted button front. Long sleeves. Flap pockets at hip. Cutaway hem. Cotton/polyester. Lining, viscose/cotton. Made in Italy. 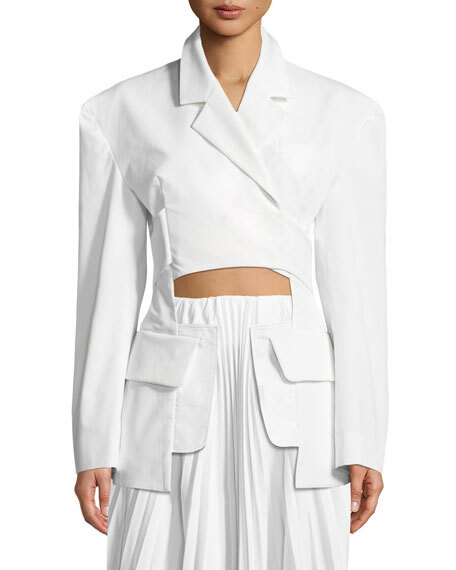 Givenchy long blazer jacket with diagonal contrast intarsia. Peak lapel; one button front. Long sleeves. Hip besom pockets. Slim, straight silhouette. Mid-thigh length. Wool. Made in Italy.